It must feel quite good to be a Nokia N8 owner these days. First, there was the Symbian Anna update, which deals with quite a few of its usability issues and now Nokia brought the news that there's a camera update in the works for their former flagship. The Nokia N8 camera update beta has already been released so if you don't mind a few bugs you don't need to wait anymore to get it. Just head to the Nokia Beta Labs website and take it for a spin. A registration is required though and you will need to have an N8 that's already running the Anna update. The camera update itself is pretty major bringing a new UI that, according to Nokia, gives you faster access to essential camera controls. The UI was certainly one of the worst parts of the N8 camera and we appreciate Nokia's efforts to finally do something about it. The other thing that got boosted by the update is video recording. 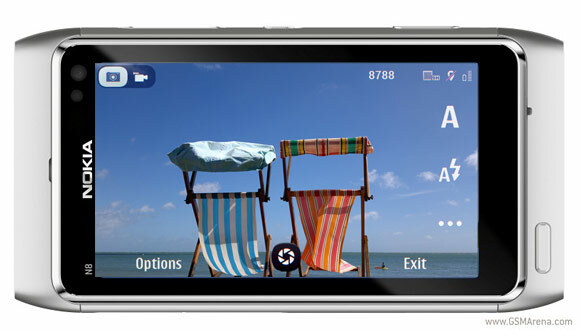 The N8 finally got its video framerate cranked up to 30 fps and the continuous auto-focus features. So far, those were only available through an unofficial mod. Update, August 23rd: Nokia had a bit of a false start yesterday, when it turned out that the update released yesterday didn't actually enable 30fps recoding. Does Nokia has any plans to improve the processor speed on N8?